A great mix of romance and mystery! My first thought with this book was that it was kind of a departure for Ms. Thayne. One of the main characters, Elliott, is an FBI agent. What? Wait a minute! Okay, here we go...we've got attraction between Elliott and the woman running the inn. Elliott and Megan (kind-of, sort-of) have a past together. No romantic relationship, but a past none the less. And there is definite attraction, no matter how much Megan wants to deny it. Now we're back in normal territory for a RaeAnne Thayne book. Then...she throws in the mystery of Megan's missing sister-in-law and did Megan's brother kill his wife??? Another curve. If you're getting my drift here, it appears that Ms. Thayne is throwing in some suspense with her awesome romance story. The romance was pretty slow to develop, but the characters definitely had issues with each other, so that was totally understandable. 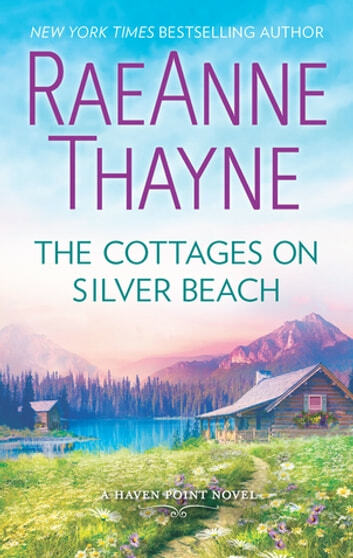 The book was awesome as are all of Ms. Thayne's, and if you like more to your books that just romance...this will be a terrific pick for you! She did a great job of mixing the romance and mystery! I love Haven Point. The quaint town, the wonderful neighbors, and the beautiful setting. Yet, the neighbors have secrets. They have secret loves, hates, and just plain old secrets. This is the story of Megan and Elliot. Megan has secretly always felt a pull towards Elliot even when she was dating his brother and when he was investigating her brother for murder. Elliot had purposely stayed away from Megan because he couldn’t trust his feelings. Now they are both in Haven Point, actually, they are truly neighbors and the pull between them is stronger than ever. While the romance is a focus of the story, the investigation into Megan’s brother’s wife disappearance is just as entertaining. I did read some of the other books in the series so I had a good understanding of what was happening and who was being accused of what but it was fun to catch up on what was going on and see Elliot work to find out the entire truth. I am hoping that this storyline will continue in future books and the reader will find out more about the truth. The Cottages on Silver Beach is a part of a series. The characters continue throughout the series, some of the storylines are mentioned but each is a stand-alone story. They can be read in any order without losing any of the charm of Haven Point. 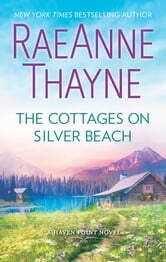 The Cottages on Silver Beach is the latest addition to the Haven Point series and truly one of my favorites of the series. There is a little mystery mixed in with the wonderful slow building romance between Elliot and Megan. Family issues and past hurts make their relationship improbable but sometimes the heart just wants what it wants and you have to take a chance. This could be the only chance Elliot and Megan have to put the past to rest and find their future together. A future they both desperately want. I highly recommend this one. This series just keeps getting better and better. Elliot seems so much like a robot to most people. But, he has hidden depths. He just keeps his emotions in check. When he comes home after being shot, he just wants a quiet place to heal and work on his book. But, that is not to be. Megan is living right next door to his rental cottage. She has always been a big distraction for him, even when she was dating his brother. Megan is so full of life and artistic. The opposite of Elliot. But, Megan has some hidden depths too. They both show one thing to the world, but there is so much more inside. When Elliot starts digging into the old mystery of the disappearance of Megan's sister-in-law, it drives a big wedge between the them. Can either of them let go of the past to think about a future together? Romance with the Little Mystery Twist! The way that Ms. Thayne writes characters is so captivating! When I get to the end of a book, my first reaction is, "Nooooooo, that can't be the end!" That was definitely the reaction I had with this book. Megan and Elliot are star-crossed lovers from the get-go. I wont write any spoilers as to the history they had in the past but as the book begins, they are once again, put in close proximity and must deal with it. They are older and wiser and although they've never been a couple, they've definitely had feelings for each other but this time, their worlds are very messy and they can't get involved...yeah, right! Elliot is healing from an injury he sustained in the FBI but he's also a true crime writer so he's going to focus on that while he recuperates. Megan's family is still dealing with her brother's wife who has been missing for 7 years and that has effected all of them for that long, plus Megan and her brother have a painful past to deal with on top of it! I really liked the development of the characters, the emotional investment I had in them as they went through their ups and downs in the story. I felt like I was right there with them through the whole book. RaeAnne is a master at this - character development, emotions, using past characters to enhance the stories....it adds up to a fantastic book that leaves you wanting more and more about the lives of these characters! I highly recommend this book! I received a complimentary copy of this book, however the opinion is my own.